Monoclonal antibodies are the most rapidly growing area of drug research and development. Their ability to target certain cell surface antigens has been advantageous in cancer and transplant therapy, though many early, mouse-derived products had limited long-term use due to the potential for immunogenicity. Advances in recombinant technology and the ability to make antibodies less immunogenic by making them more human have led to routine use in chronic conditions as well. While all products currently marketed are injectable, a number of those targeted at autoimmune conditions such as rheumatoid arthritis, psoriasis, and related conditions are available in easy-to-use self-injection systems. Drug Facts and Comparisons Secondary Drug Facts and Comparisons 2018. http://www.lww.com/Product/9781574393705. FDA. FDA Center for Biologics Evaluation and Research Website. Secondary FDA Center for Biologics Evaluation and Research Website. http://www.fda.gov/AboutFDA/CentersOffices/OfficeofMedicalProductsandTobacco/CBER/ucm133072.htm. Daly BJ LCaC, D. Snakebite treatment and management. http://emedicine.medscape.com/article/168828-treatment. Motofolio: scientific illustration toolkits for presentations and publications. Secondary Motofolio: scientific illustration toolkits for presentations and publications. http://www.motifolio.com. Genetics S. Brentuximab package insert. Secondary Brentuximab package insert. http://www.seattlegenetics.com/application/files/1915/2157/0234/adcetris_USPI.pdf. Biogen. Tysabri touch website. Secondary Tysabri touch website. http://www.tysabri.com/safety-with-tysabri.xml. Kline GS. Bexxar package insert. Secondary Bexxar package insert 2012. http://us.gsk.com/products/assets/us_bexxar.pdf. Spectrum. Zevalin package insert. Secondary Zevalin package insert 2012. http://www.zevalin.com/wp-content/uploads/2012/03/Zevalin_Package_Insert.pdf. Astellas. Letter to patients on Amevive product discontinuation. Secondary Letter to patients on Amevive product discontinuation 2012. http://www.amevive.com/Patient%20letter.pdf. Foundation A Information on ease-of-use product selection. Secondary Information on ease-of-use product selection 2012. http://www.arthritis.org/ease-of-use-new.php?ct_id=5. 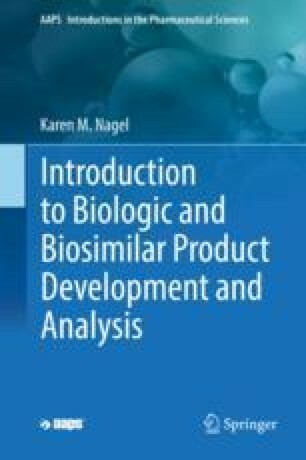 International nonproprietary names (INN) for biological and biotechnological substances (a review). 2012, 17 SRC - BaiduScholar. http://www.who.int/medicines/services/inn/BioRev2011.pdf. Accessed 17 Sept 2012.
Genentech. Xolair package insert. Secondary Xolair package insert 2012. http://www.gene.com/gene/products/information/pdf/xolair-prescribing.pdf. Medimmune. Synagis package insert. Secondary Synagis package insert 2012. http://www.medimmune.com/pdf/products/synagis_pi.pdf. Daclizumab withdrawn from the market worldwide. Drug Ther Bull. 2018;56(4):38. https://doi.org/10.1136/dtb.2018.4.0604. [published Online First: Epub Date].